Our 2019 conference is co-organized by the Institute of Art History, Faculty of Social Sciences and Humanities, Universidade NOVA de Lisboa, TIAMSA – The International Art Market Studies Association and TIAMSA Portugal, Spain and Brazil, in collaboration with Universidad Nebrija (Madrid) and Universidade Federal do Rio Grande do Sul (Porto Alegre, Brazil). This conference will discuss the developments, the disruptions and new perspectives that can be observed in the current art market as seen from the Global South – a term here used to refer to emerging economies of the southern hemisphere (South America, Africa, India, South-Eastern Asia, Southern Europe, but not limited to these geographical areas) – and their contribution to the development of art markets worldwide. 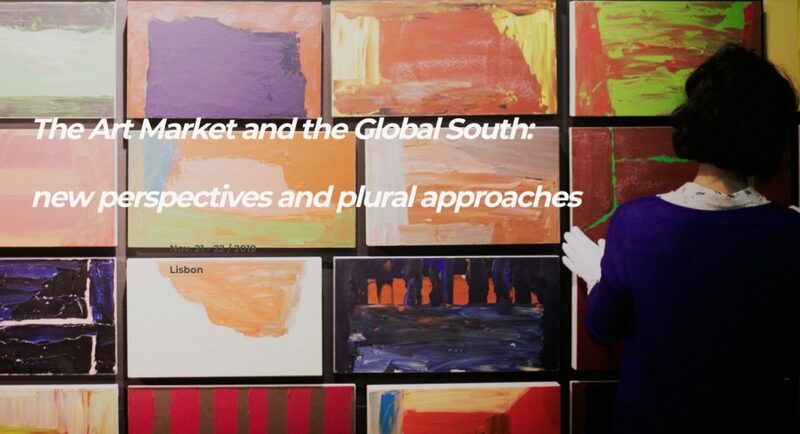 We will explore the Global South as a thematic frame and through different disciplinary viewpoints in order to re-think the cross-cultural and economic flows and to investigate the various local practices of the art market. Furthermore, we wish to analyze the Global South as a set of spaces and players affected by the contemporary art trade. In doing so, we particularly intend to focus on the rise of new art markets in these regions and their impact on the global art system, its history, its changing processes and its networks – but also on the circulation of art. 6. The crisis: impact and strategies adopted to overcome the art market’s economic crisis after 2008. – Proposals must be submitted until 31 January 2019. – The selection will be made by the Scientific Committee, through a double-blind review process. Note of acceptance will be given by April 2019. – A selection of the presented papers will be later published in Revista de História da Arte, Série W, a peer-reviewed online journal.